SPORTS CENTER Five years ago, RJ Geyman, 30, was a struggling actor toiling away in the Chicago improv scene. 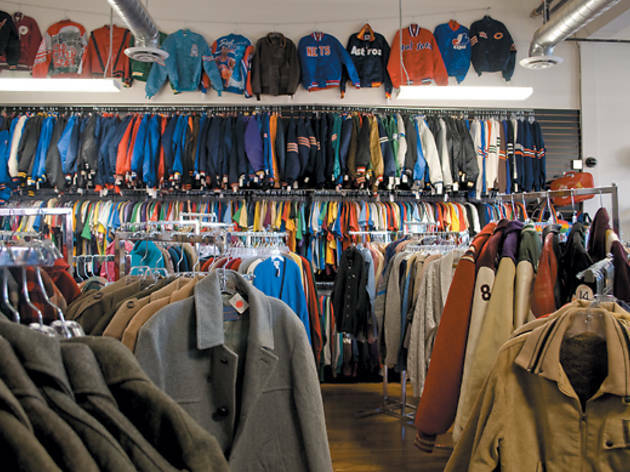 To help make ends meet, he started an eBay store (Rad Vintage Chicago) selling Starter jackets and sports jerseys from the ’80s and ’90s. The business did so well that it became a full-time job and he’s now opened this Andersonville storefront. 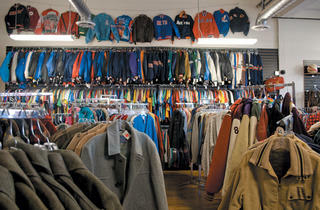 He’s branched out to include men’s and women’s clothing from the past 40 years, so expect to find women’s peacoats from the ’60s ($45 and up), men’s Dior sweaters (starting at around $22), Member’s Only jackets ($20 and up) and more. He might not be doing as much comedy, but Geyman’s sense of humor remains intact: The shop also carries kitschy items, such as vintage phones (think Mickey Mouse and Legos), Superman drinking glasses and Bears sweaters, just like Ditka wore back in the day. Believe it or not, the sweaters are now collector’s items, starting at $100. 1511 W Berwyn Ave (773-907-2225).